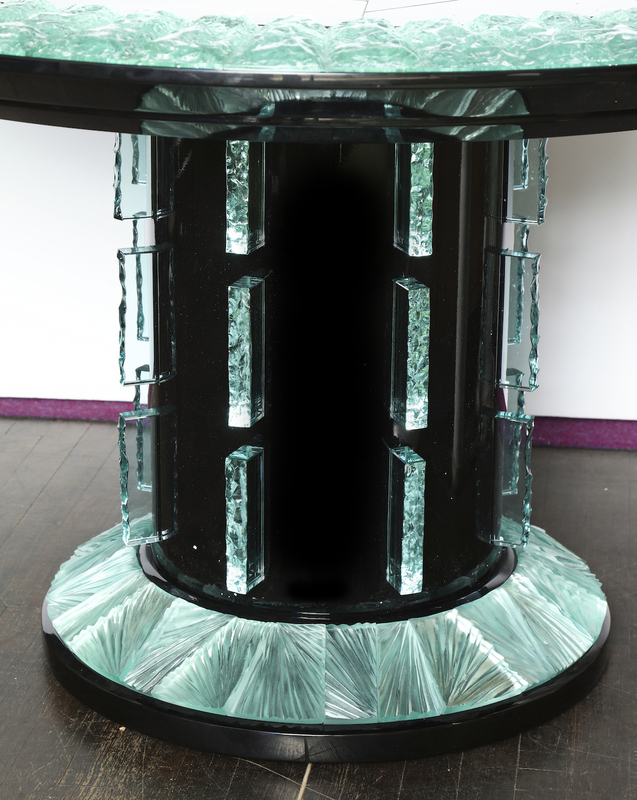 Circular pedestal table of black lacquered wood support with inset, hand carved and chiselled glass elements throughout. 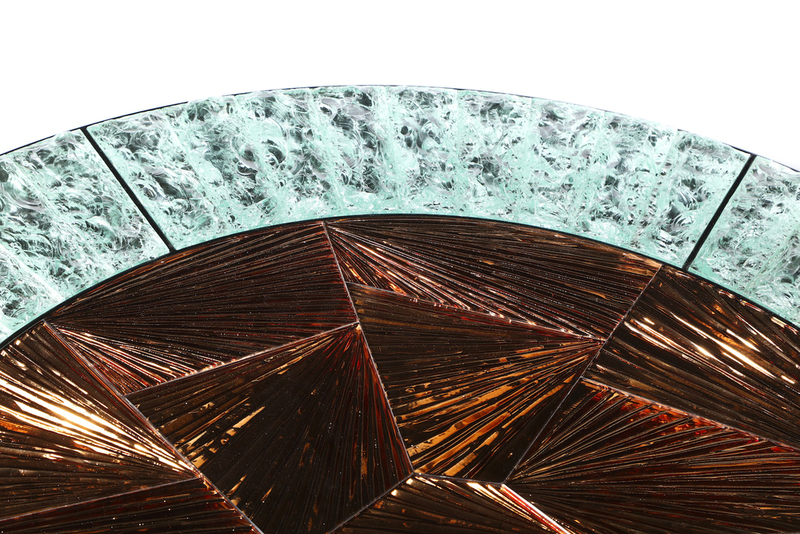 An incredible example of the craftsmanship of Ghiró Studio and their innovations with glass as a material. Signed on underside.